Ah, road trips. Being stuck in a car for hours on end, forced to listen to whatever the people in the front of the car settle on. Or shoving your headphones in and missing out on all the conversation and jokes. Well, all that is about to change thanks to a new technology from Korean manufacturer Kia. It’s called “Separated Sound Zone” (SSZ) and might be one of the coolest things we’ve heard of in a while. SSZ uses essentially the same sort of technology as noise cancellation systems. 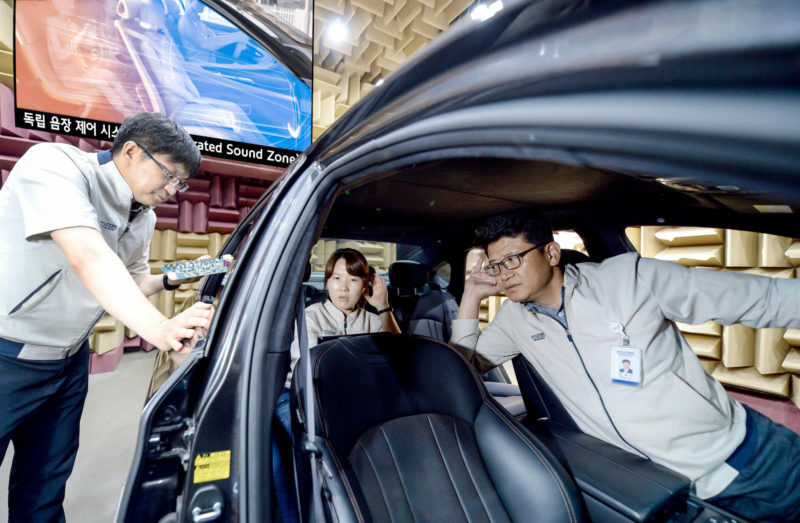 However, what’s revolutionary is that it can create acoustic zones within the car itself. People in each individual seat can hear what they choose to hear. That means that if the front seat passenger wants to listen to good music from the 1980s, but the rear seat occupants want to hear modern chart rubbish, they both can. Although that does double the risk of someone in the car hearing U2. There’s also the option to listen to no music at all. This is rather helpful to those with infants, who’d like to listen to some music while driving around in the wee small hours to get the child off to sleep. You can isolate the child seat from any music, but still listen to the radio. Occupants could also use the SSZ system to maintain privacy during phone calls (hands-free, of course). No-one but you and the person on the other side of the call need hear your voices. Kia has been working on SSZ since 2014. 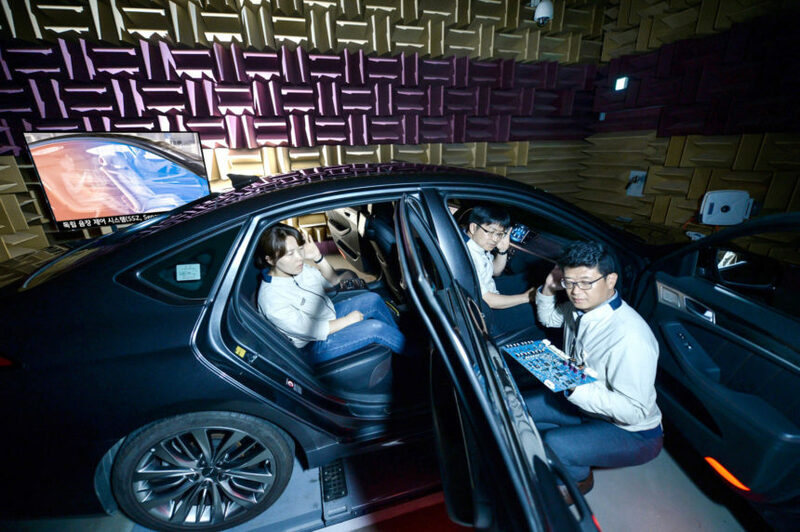 It’s a technology essentially made in readiness for the autonomous era of cars, where each seat becomes a person’s own, configurable environment as the AI car whisks them to work. “Customers in the autonomous navigation era will demand increasingly customisable entertainment options within their vehicles, which includes technological innovations such as the Separated Sound System. When might we see this in a production car? Kia believes it should be ready for its cars as early as late 2019. That will be most likely in the Optima and its sister brand’s Genesis executive car.